Synopsis: Following their win at the Hunger Games, Katniss and Peeta are preparing themselves for their victory tour and the next games. As this is a celebration of 75 years of the games, it calls for a special games to be designed, one which Katniss and Peeta will never forget. 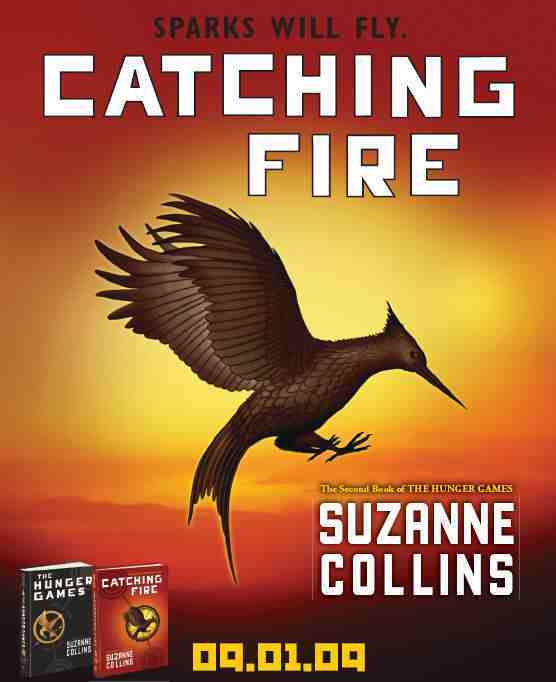 I read The Hunger Games last year and I have to admit, I didn’t feel particularly compelled to read on. However, I always meant to read the others and so I finally got round to downloading Catching Fire and Mockingjay onto my kindle. If anything, I enjoyed this more than The Hunger Games. The plot twists were a little less blatant and I loved the idea of the clock shaped games arena. The Capitol and the gamemakers seemed more cruel and some of the weapons / tricks played within the arena were truly horrible. The book trotted along and I did find it hard to put down. I wanted to know that Katniss and Peeta would survive. Or rather how they would survive – the existence of a third book suggesting that they both lived through this one. I was glad to have the third one ready and waiting as the end of this one was much more of a cliff hanger than the last one. I still found Katniss intensely annoying. She is constantly selfish, ignorant and mistrustful. The way she swings between Gale and Peeta is also irritating. While she is a strong lead character who takes action, she is often in the wrong or acts in a foolish way. She was hard to like. Whilst, on the one hand, Peeta is more sympathetic, in some ways he is just as annoying. His essential goodness doesn’t quite ring true. The final reveal at the end of the book and Katniss’ reaction too it seemed a little forced and sudden. More subtle clues throughout might have helped with this. The appearance of Gale at the end and his rebel status also did not quite convince. Maybe I’m being a bit harsh but I did feel that I constantly wanted to shake Katniss. Maybe, again, it is just that I am too far removed from Katniss’ age to really be able to relate to her. Certainly, the idea of these books is strong and interesting, I was left feeling that the execution could have been better.